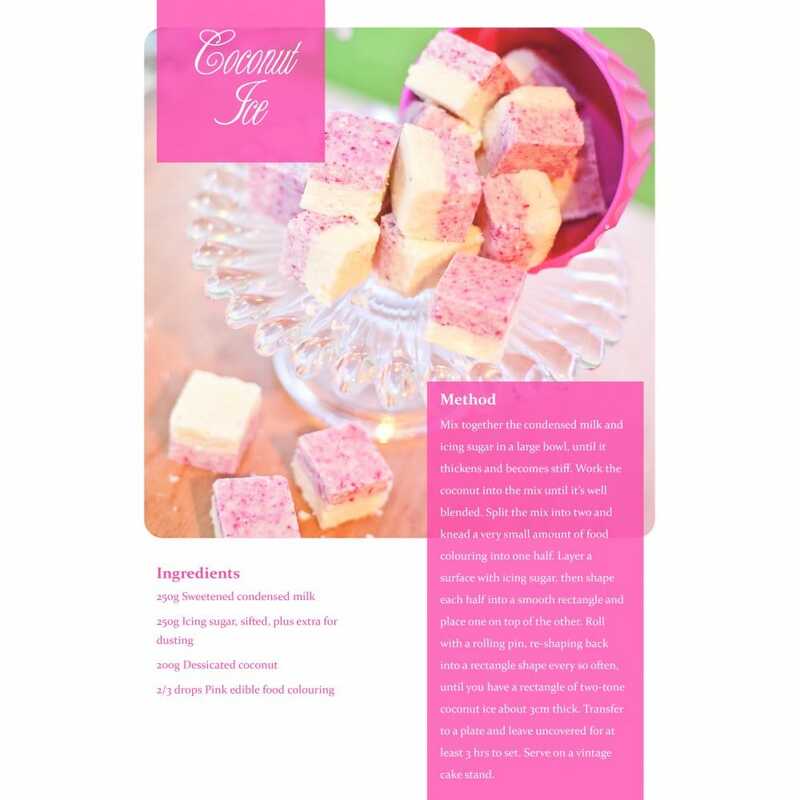 We all enjoy a sweet treat, so can you be tempted by this delicious, milky coconut ice? These little sweets look like sugar or ice cubes, until you look closely! The two-tone, pink and cream layers are perfect for a girly home Hen Party, with vintage dessert stands and bite-sized sweet luxuries. Download this free recipe for a different dessert idea that your guests will love. Serve the coconut ice in little bowls dotted around the room for people to sample.